Should the SEC Have Shut Down the Titanium ICO – Initial Coin Offering – Sooner? | News by Wales Express News, People Before Profit! Should the SEC Have Shut Down the Titanium ICO – Initial Coin Offering – Sooner? The initial coin offering industry is still under a lot of scrutiny by the SEC as of right now. That is only normal, as a fair few projects have violated securities laws or defrauded investors. The Titanium ICO is a perfect example of such a nefarious project, although some people feel the SEC should have shut it down a lot sooner than it did. 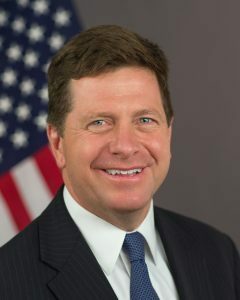 SEC Chairman Jay Clayton made it clear in a February congressional hearing that despite claims that some are “utility tokens,” every ICO he has seen is a security. When people found out about the Titanium ICO, there was a fair bit of excitement surrounding this project. Known as Titanium Blockchain, the company tried to offer a unique project in exchange for people’s contributions. Although hosting an initial coin offering is the cool thing to do these days, not all of those projects are created equal. Indeed, there have been a lot of rumors regarding the Titanium ICO defrauding investors. It is not the first time an initial coin offering has faced such allegations. In the case of this particular project, there may be some truth to the allegations, though. To put this story into perspective, Titanium Blockchain was touted as a new platform designed to decentralize the internet. More specifically, it would decentralize the likes of AWS, Microsoft Azure, and so forth. This is certainly an achievable goal when it comes to blockchain technology, although decentralizing file storage and servers is not something that can be done overnight. While just over $21 million was raised during the Titanium ICO, it quickly became evident things were not adding up. The parent company claimed a massive amount of its BAR tokens had been stolen from the company’s wallets. This resulted in a 95% drop in the token value, which seemed to hint that the company had simply cashed out and disappeared. Whether or not that was actually the case remains unknown at this time. The SEC did obtain an emergency asset freeze against Titanium and charged founder Michael Stollaire with securities fraud. Moreover, the SEC isn’t amused by claims made by the Titanium team regarding partnerships with PayPal, Boeing, and The Walt Disney Company. None of those partnerships exist, indicating that the company intended to defraud investors. Although the SEC eventually cracked down on this ICO, some people feel action should have been undertaken a lot sooner. Despite the SEC’s warnings against blindly investing in initial coin offerings, many individuals continue to do so. It will be interesting to see how this ongoing investigation pans out and whether or not investors will be reimbursed in the end. SEC is cautiously open to initial coin offerings, commissioner says. The Securities and Exchange Commission wants to protect investors from fraud in initial coin offerings but the agency remains open to a legal way to raise money in crypto, one regulator says. “Down the road, I think we will be thinking about ways to make those investments work consistent with our securities laws,” SEC Commissioner Robert Jackson says. The financial watchdog has cracked down on the fundraising process known as ICOs this year, with accusations of fraud and multiple subpoenas. egulators at the Securities and Exchange Commission are still worried about the cryptocurrency fundraising craze known as initial coin offerings. But the agency is not looking to ban them and remains open to a legal avenue for crypto investments, according to one commissioner. “Right now we are focused on protecting investors who are getting hurt in this market,” he said. In an ICO, cryptocoins or tokens are put up for sale as a form of crowdfunding. Instead of voting rights or dividends that come with shares of a company, “utility tokens” promise access to a network, platform or service. But they’re often backed by an abstract idea, or in some cases, nothing at all. The agency has warned of pump-and-dump schemes in ICOs, and stepped up its enforcement with crackdowns on fraud and scores of subpoenas this year. SEC Chairman Jay Clayton made it clear in a February congressional hearing that despite claims that some are “utility tokens,” every ICO he has seen is a security. Jackson underlined the need for regulation and said the current crypto craze is what other markets might look like without financial oversight. “If you want to know what our markets would look like with no securities regulation, what it would look like if the SEC didn’t do its job? The answer is the ICO market,” Jackson said. BTC Price $7,589.67 as of 10:04:31 a.m. Friday,1 June 2018 according to Wales Express trading analyst. 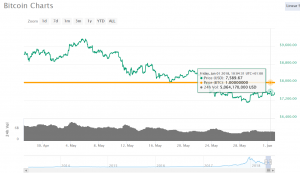 The price of bitcoin tanked below $10,000 in March after the SEC announced that online platforms trading digital assets that are considered securities need to register with the agency. 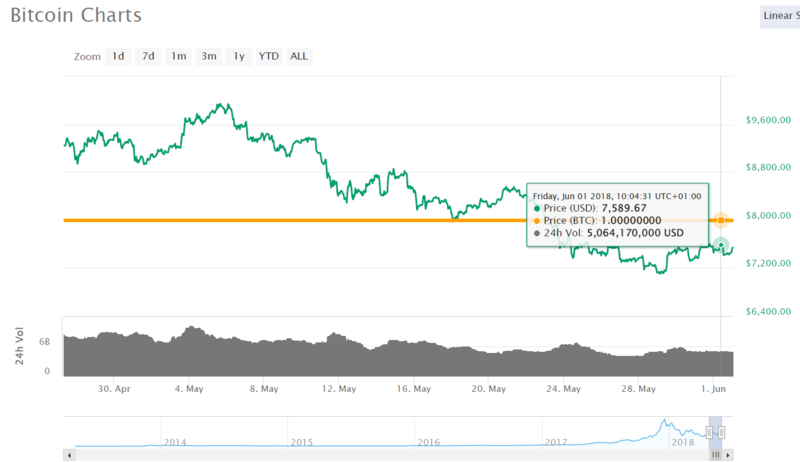 The cryptocurrency has fallen roughly 30 percent this year and was trading near $7,589.67 as of 10:04:31 a.m. Friday,1 June 2018 according to Wales Express trading analyst.